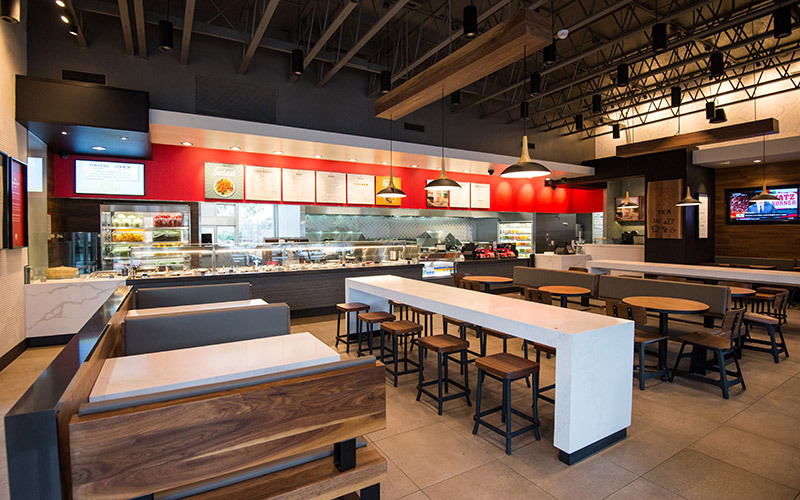 Home Food Panda Express Is Opening A “High-End” Restaurant in L.A.
Panda Express Is Opening A “High-End” Restaurant in L.A.
How about a green tea with lychee jelly and an orange chicken salad? The more optimistic among us say that when one door closes another one opens. That is the case this weekend as Panda Express opens it’s first Panda + Tea restaurant in L.A. (Hacienda Heights – 17184 Colima Road), while the chain’s very first restaurant, The Panda Inn’s future is in question (DEVELOPING: We received a statement from Panda Restaurant Group about Panda Inn: “While we are still in the early stages of this development, we are committed to having our family’s original Panda Inn remain on this location to continue serving our valued guests for years to come. We do not have any intentions to demolish the original Panda Inn.”) The new “elevated American Chinese restaurant” opens on Saturday, Feb 18 and will offer, along with the Asian-inspired drinks from the Tea Bar (choose your base of green, black, or oolong teas for your Panda Classic milk tea or Thai milk tea, among many other sips, and add-ons like lychee jelly or chia seeds), customizable salads and wraps in the restaurant and drive-thru(!). New items? 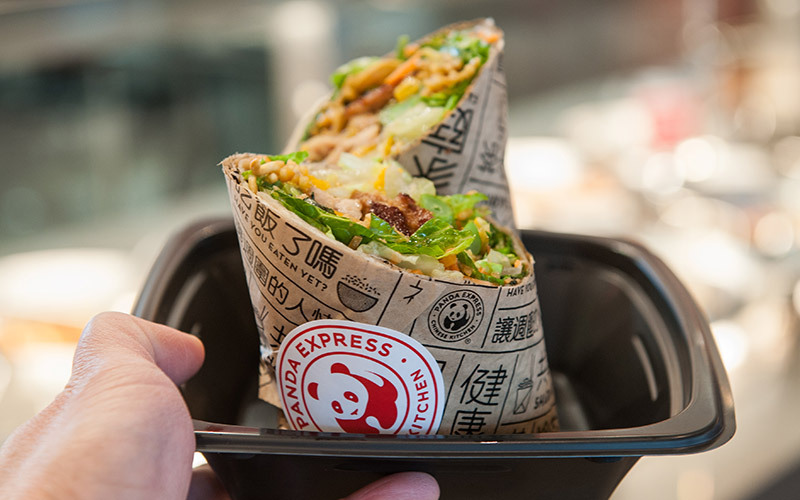 Everyone’s fave a few more ways—Orange Chicken Salad and Orange Chicken Bing (Chinese wrap). The Sparkling Ginger Lemonade looks good too. On Saturday, there will be a ribbon cutting at 11 a.m., following by a traditional Chinese Lion Dance and plenty of samples of the teas and wraps if you want to check it out. They are also having a prize wheel where you can snag Panda merch. 25 percent of the proceeds of Saturday’s opening will benefit Wilson High School. Kari Mozena is the Special Projects Manager at Los Angeles magazine and LAMag.com. You can follow her on Twitter and Instagram. She recently wrote: International Pillow Fight Day Is Coming To L.A. And It Might Be Just What The Doctor Ordered.